In the decade before the Islamic Revolution, Iran is a country on the brink of explosion. 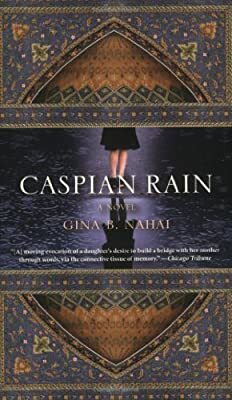 Twelve-year-old Yaas is born into an already divided family: her father is the son of wealthy Iranian Jews who are integrated into the country’s upper-class, mostly Muslim elite; her mother was raised in the slums of South Tehran, one street away from the old Jewish ghetto. Yaas spends her childhood navigating the many layers of Iranian society. Her task, already difficult because of the disparity in her parents’ worldview, becomes all the more critical when her father falls in love with a beautiful woman from a noble Muslim family. As her parents’ marriage begins to crumble and the country moves ever closer to revolution, Yaas is plagued by a terrifying genetic illness that is slowly robbing her of her hearing. Facing the prospect of complete deafness, she learns that her father is about to abandon her and her mother to immigrate to America with his mistress. She must now undertake a last-ditch effort to save both herself and her family.